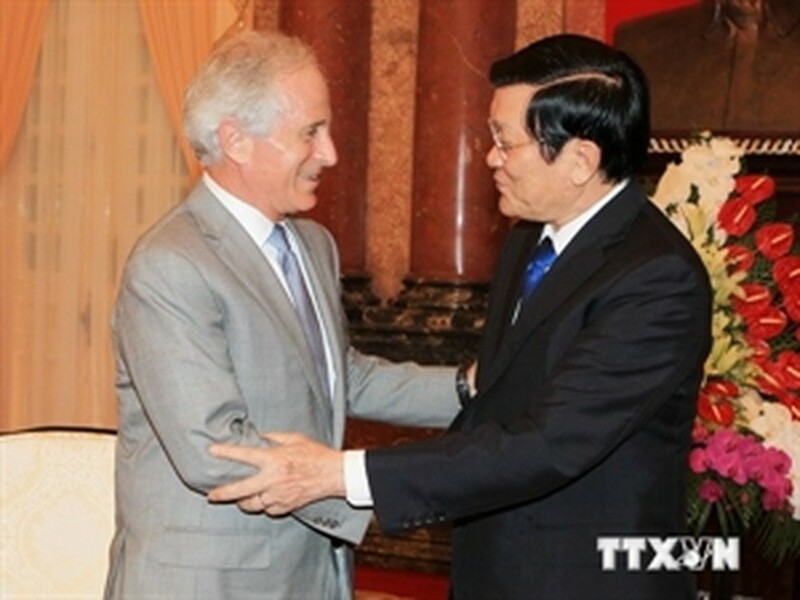 President Truong Tan Sang has told US Senator and ranking member of the US Senate’s Foreign Relations Committee Bob Corker that Vietnam is ready to expand economic and trade ties with the US. Vietnam is also willing to join the US in seeking ways to remove barriers hindering bilateral trade, thus boosting trade between the two countries, he said during a meeting with the US senator on August 5 in Hanoi. President Sang made it clear that Vietnam is determined to conclude negotiations for the Trans-Pacific Partnership (TPP) and hopes that the US will create favourable conditions to design a suitable roadmap for the deal. He stated that Vietnam treasures the bilateral comprehensive partnership with the US and is willing to discuss with the country the issues on which the two sides have different views in order to deepen mutual trust. The leader also proposed that the US lift the ban on antipersonnel weapon trade with Vietnam, while removing all barriers and opening its door wider for the trade of high technology equipment serving the development of Vietnam. He thanked the US Senate for its support to the stance of Vietnam and ASEAN on the East Sea issue. Vietnam’s consistent policy is maintaining and building friendly relations with other countries in the region and the world at large, opposing the use or threatening to use force, President Sang reiterated. All territorial disputes must be settled through peaceful measures in conformity with international law, he stressed. For his part, Corker said the TPP is an opportunity for development cooperation for all member countries and the region as a whole. The US Congress will seek ways to raise a common voice on the important agreement soon, he said. He expressed belief that the ban on antipersonnel weapon trade with Vietnam will be removed in a near future for mutual benefit. 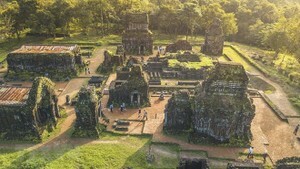 Noting that ties between the two countries are on the rise, the senator said he believes that many joint activities will be successfully held to celebrate the 20th anniversary of the Vietnam-US diplomatic ties in 2015. On the East Sea issue, Corker voiced support for Vietnam’s stance of solving all disputes through peaceful measures in respect of international law, underscoring the need for the solidarity among ASEAN member countries.